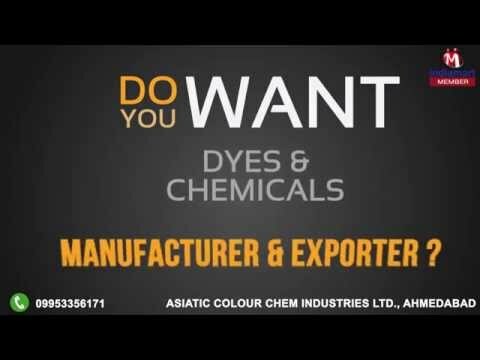 Welcome to Asiatic Colour Chem Industries Limited, established in the year 1995, we are engaged in manufacturing, exporting, supplying and importing the best quality Dyes & Chemicals. The product range offered by us consists of Leather Dyes, Black Leather Dyes and Fur Dyes. To ensure high standards of quality, the offered dyes and chemicals are imported China. These dyes and chemicals are processed in compliance with the industry laid norms, by using advanced tools and machinery. Offered by us at industry leading prices, these dyes and chemicals are known for their rich features such as accurate composition, purity and longer serving life. In addition to this, we offer these chemicals are packed with standardized packaging. Our Exporting countries are Thailand, Taliban, Brazil, Singapore, Germany, Italy and Spain and importing from China.